Arizona is home to numerous menacing arthropod species, such as bark scorpions, harvester ants, and on occasion, Africanized honey bees, or killer bees, as they are commonly known. Blister beetles are yet another group of insects in Arizona that you want to avoid. Although blister beetles don’t bite, like kissing bugs, or sting, like scorpions, these insects do emit a toxic compound that, when exposed to skin, causes an intense burning sensation that, like their name suggests, causes painful blisters. According to one Arizona doctor, the blisters that form on human skin as a result of coming into contact with blister beetle toxins, resemble a typical chemical burn. Blister beetle toxins are particularly harmful to horses, as blister beetle toxins are sometimes contained within the hay that horses consume. It is not uncommon for horses to become extremely ill, or even die as a result of eating hay containing blister beetle toxins. There also exists plenty of incidents involving medically significant cases of humans falling victim to blister beetle toxins. For example, during the early summer of 2018, a Phoenix woman developed a nasty burn after being exposed to blister beetle toxins. Dr. Joanna Woods was watching a movie at a theater in the Valley when she made contact with a blister beetle. The pain Dr. Woods experienced as a result of this exposure was described as feeling like her arm could not be removed from a hot skillet. Initially, Dr. Woods thought that she had sustained bed bug bites, as her wound consisted of red welts, but later on, the pain set in, and the welts began to look more like one big chemical burn that had developed blisters. At first, medical professionals were not sure what sort of injury Dr. Woods had sustained, but it eventually became clear that she had come into contact with a blister beetle. Due to her injury, Dr. Woods developed an infection and had to be hospitalized for two nights. Do you know of any other insects that emit a corrosive substance that can be harmful to humans and animals? Are There Any Tarantula Species That Attack Humans Without Provocation? It is often claimed by experts that spiders, even the largest and most frightening looking, are largely harmless to humans. While it is true that most spider bites are not medically significant and only hurt as much as a bee sting, some spiders are downright deadly, and will not hesitate to attack a human. Most experts would disagree strongly with this claim, as it is common knowledge that spiders will not bite a human unless the spider feels threatened, is provoked or is mishandled. This may be the case when it comes to the vast majority of spiders, but the Australian funnel-web spider is certainly an exception. One American study claims that the Australian funnel-web spider is the most dangerous spider on earth, and plenty of other researchers do not dispute this claim. It is not just its highly venomous bite that makes this particular spider species dangerous to humans, it is also their habit of attacking humans without provocation of any kind that makes them uniquely hazardous. Funnel-web spider bites are deadly to humans, but luckily, the introduction of an antivenom in the early 1980s drastically reduced the death rate from funnel-web spider bites. In severe cases of funnel-web envenomation, four vials of antivenom is necessary to save a human’s life. However, not long ago, a ten year old Australian boy required a massive dose of antivenom consisting of 12 vials after sustaining a bite from a funnel-web spider. Luckily, after being administered the antidote repeatedly, the boy survived. In addition to being a serious health threat, funnel-web spider bites are also extremely painful on account of their large fangs and acidic venom. This exceptionally aggressive spider species will bite repeatedly and use its fangs to attach itself to skin, making it hard to brush these spiders away following a bite. Respiratory problems, spasms, seizures, vomiting and circulatory problems are just a few of the symptoms that a funnel-web bite victim can expect within 15 to 30 minutes following a bite. One case saw the death of a young boy within 15 minutes following a funnel-web bite. So no, spiders are not harmless! Have you ever experienced secondary symptoms (other than pain at the site of the bite wound) following a bite from a spider? There exists 800 documented tarantula species in the world today, and the state of Arizona is home to 30 of these species. Arizona is well known for its tarantula population, and for good reason, as some tarantulas in the state are large enough to prey upon and consume mammals. These mammals include several different rodent species as well as lizards. According to one study, the western desert tarantula of Arizona regularly preys upon kangaroo rats. In fact, the study described one instance in Tucson that saw a western desert tarantula specimen carrying a fully grown rat on its back. This specimen was likely carrying the dead rat to its burrow in order to gorge itself on the rodent. The body-size of the desert tarantula grows to be around three inches in length, and this measurement, of course, is not counting the tarantula’s long hairy legs. Males of this species live for around 10 to 12 years, but the much larger female lives for a period of around 25 years. The female produces between 200 and 300 offspring at a time, and luckily, their venomous bites are not considered medically significant to humans. This tarantula’s most common rodent prey, the desert-dwelling kangaroo rat, is not the tiny creature you may assume it to be considering the desert tarantula’s ability to consume the animal. This rat species grows to be around 4 to 5 inches in length, not counting its tail, and it lives a solitary existence within the blazing hot Sonoran Desert. The kangaroo rat has evolved to avoid tarantula predation by jumping as far as ten feet, and they are able to change their direction immediately upon landing. Researchers have documented the existence of mammal-feeding tarantula species in seven countries located on six continents. Some mammal hunting spiders spin ultra-strong webs in order to capture rodents, and they all produce strong venom designed to incapacitate the vertebrae nervous system. Have you ever witnessed an encounter of any kind between a tarantula and a rodent or lizard? Why Are Termite Infestations A Major Issue In America’s Fire Stations? For some reason or another, the rate of termite infestations within fire stations is unusually high. Some experts believe that the disproportionate amount of termite damage inflicted to fire stations may result from firefighters inadvertently transporting termites back to the station after returning from termite infested homes where fires were reported. However, this explanation has a few problems. While termites, especially drywood termites, can spread from location to location by means of infested furniture transport, termites are not known for nesting within clothing where they can be unknowingly transported from place to place. Of course, this is how bed bugs are spread, and this explains why bed bugs are an issue within fire stations, ambulances and hospitals. But this does not explain why termites are a problem within fire stations. Nearly four years ago, the Delray Beach Fire Station in Florida had to close for fumigations after inspectors discovered an extensive drywood termite infestation within the building. The decision was made to fumigate the whole building after the termites were discovered infesting government offices located on the second story of the building. Almost three years ago, firefighters in Hermosa Beach, Florida were forced to relocate to temporary trailers after inspectors found that a long-running termite infestation within the fire station and the neighboring civic center had weakened the structures to the point of near collapse. In this particular case, fumigations were not sufficient, as a 100 million dollar renovation was required to build a new station as well as a civic center and government offices. Back in 2010, a long-running termite infestation nearly destroyed a fire station in None, Georgia. The cost of building a new station cost taxpayers between 2 and 4 million dollars. A 2006 termite infestation in a Lompoc, California fire station required a fumigation and voters in Halfmoon and Waterford, New York recently rejected a plan to build a new fire station for 13 million dollars, as the existing fire station is no longer safe to occupy due to an extensive termite infestation. Termite infestations in fire stations are also problematic within the country of India, as a recent termite attack on a fire station in Danapith resulted in several important government documents being destroyed by termites as well as the structure itself. Do you believe that a particular factor makes fire stations particularly vulnerable to termite attacks? In regions of Africa, Australia, Asia and South America, termite mounds can be seen for miles across various types of landscapes. Since termite mounds are created by different termite species that are adapted to particular environments, there exists an array of different mound architectural styles. However, upon researching different types of mounds, researchers discovered that the interaction between external and internal mound climates directly affects mound building behavior in termite workers. Therefore, climate serves as a primary factor in determining a mound’s architectural style. Researchers from Harvard’s engineering and evolutionary biology departments put their heads together in order to unravel some of the mysteries concerning mound building behavior in termites. The researchers discovered that the climatic conditions existing outside of a mound, such as wind speeds and daytime temperature fluctuations, alter the climatic conditions inside of a mound by changing the flow of pheromone odor signals. These pheromone signals are transmitted from a queen termite to workers in order to facilitate the mound building process. Since these pheromone odor cues are blown around by internal air currents, a mound’s internal climate could be an essential component to the ultimate mound-building behaviors exhibited by termite workers. The climate within a mound can be altered into many different forms, resulting in new building behaviors, and ultimately, different architectural mound styles. The study was ultimately showing how external mound climate can explain different mound structural styles. This research study was exciting for researchers, as it marked one of the few times when researchers were able to demonstrate how environmental physics and animal behavior work together to produce complex structures that can be found everywhere in nature. This study also sheds more light on the topic of swarm intelligence in insects and it may even serve to inspire architects into designing more environmentally friendly buildings in the future. Do you believe that nesting and shelter structures created by insects offer insights in the field of green architecture? It is probably fair to say that most of the American public is disgusted by edible insect meals. Now, lawmakers in the United States are disgusted by the government funds going into edible insect research. Most Americans want nothing to do with edible insects, so it is likely that they do not want to see their tax dollars being spent on research into eating bugs. This is why lawmakers from multiple states have gone on the record in their opposition to edible insect research being funded with taxpayer money. In fact, some politicians are attempting to pass a bill that would prohibit the use of taxpayer dollars in edible insect research projects. Senator Jeff Flake from Arizona is leading the charge against federally funded edible insect research. Flake is not opposed to edible insects, but he does not want taxpayer dollars going to startup businesses that specialize in edible insect production. According to Flake, this type of spending is just another example of careless government spending. Flake is not alone, as he and many other senators and congressman are looking to make amendments to a particular House spending package that allows government entities to spend as much as 100,000 dollars on edible insect projects. Flake’s amendment would block taxpayer dollars from going into the hands of edible insect companies. One business owner who specializes in cricket feed says he has not yet felt the heat from Senator Flake. The California-based business is called Tiny Farms Inc., and it is run by Andrew Brentano, who is currently serving as the company’s CEO. According to Brentano, his business, as well as many others he knows of, has received funding from the USDA with no problems. Brentano firmly believes that federal funding into edible insects is not a waste of money, as edible insects could end up saving billions if it were to displace livestock meat as the primary source of protein for Americans. There exists several termite species in the United States that are categorized as “pests to structures.” The most destructive and economically costly termite species in the United States is the eastern subterranean termite. Given the common name of this species, it should not be surprising to learn that eastern subterranean termite colonies become less prevalent in the west. As you may be able to guess, the most destructive termite species within the western coastal states is the western subterranean termite, at least this is what researchers believed until a new termite species was identified as inhabiting the western coast of North America several years ago. This new species is known as Reticulitermes okanaganensis, and while this species has been known as a pest to structures in British Columbia, researchers have only recently learned that this species infests structures ranging across the entirety of the western U.S. coast. The Reticulitermes okanaganensis termite species is now known to exist within the states of California, Oregon, Washington, Idaho and Nevada. This species has been causing extensive damage to structures in British Columbia for years, but the species was not identified as Reticulitermes okanaganensis until the early 2000s. The damage these termites have been inflicting upon structures in British Columbia is unprecedented in the relatively cold region where most termite species would not be able to survive. When these attacks were at their height in Canada, pest control professionals reported difficulties in eradicating Reticulitermes species from structures in northern California. Now it is believed that Reticulitermes okanaganensis was responsible for many of these infestations, but they could not be easily eradicated as insecticides are not designed to address the unique physiology of this new termite species. Also, much of the structural damage in California that has long been attributed to western subterranean termites may have also been caused by Reticulitermes okanaganensis pest activity. Studies that aim to map this species’ distribution within the US are ongoing. 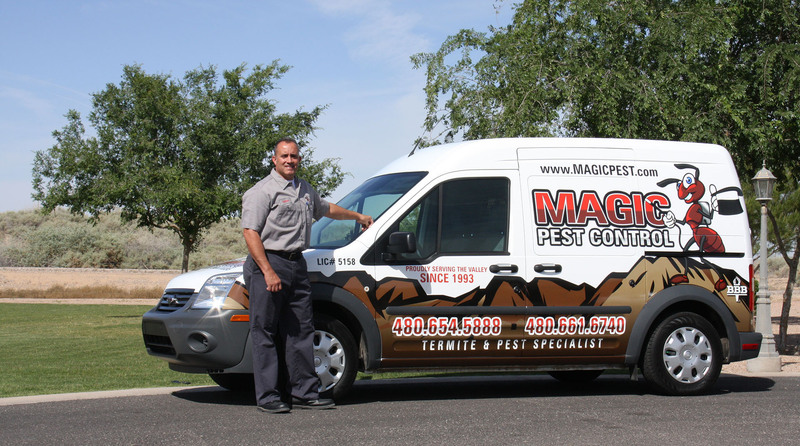 Do you believe that there exists more termite pest species in the US than researchers are currently aware?